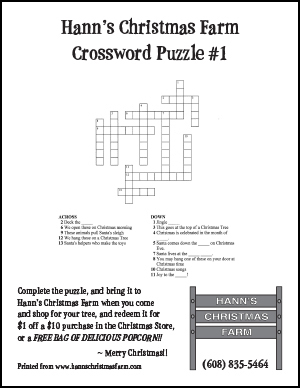 Hanns Christmas Farm – Memories of an Old Fashioned Christmas! Welcome to our site. 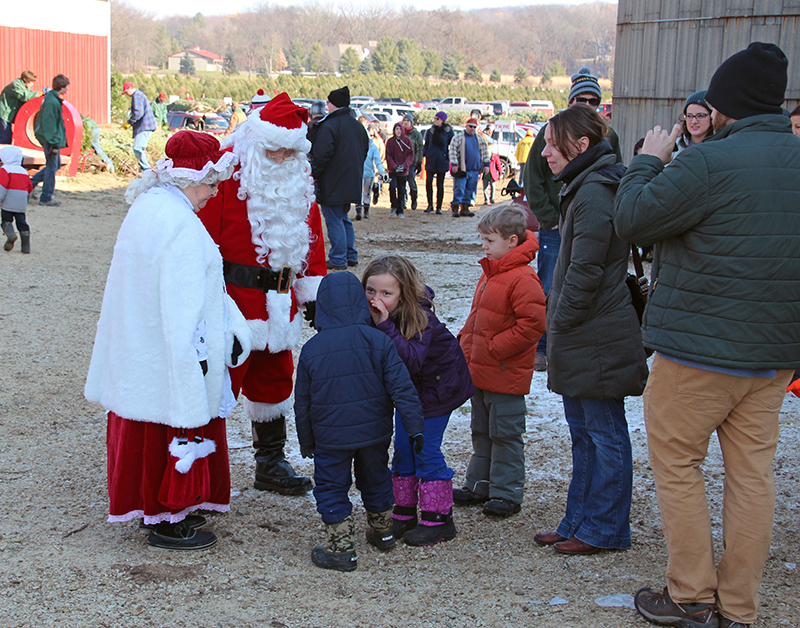 With FREE ADMISSION to our farm, we promise you’ll leave with Memories of an Old Fashioned Christmas! We’re open 9am-5pm, November 1-December 24, including Thanksgiving! DOGS WELCOME on a leash!! For information, scroll down or select a menu item above for more details, or give us a call at 608-835-5464. 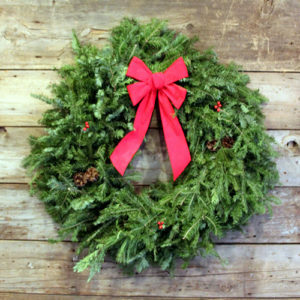 Hann’s is the place to buy your tree and wreath, but we have so much more to offer! 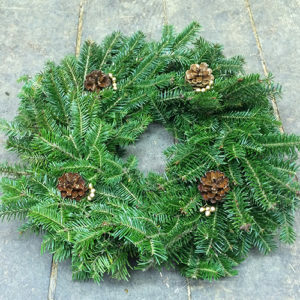 We have wagon rides out to the field so you can relax while you shop for the perfect tree. 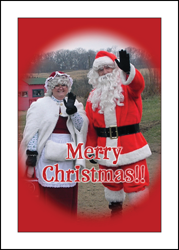 Santa and Mrs. Claus are here from 10am-12pm and 12:30pm-4pm on the three weekends following Thanksgiving to visit with the young and young at heart. Inside the barn, the expanded and remodeled Christmas Store is always open. 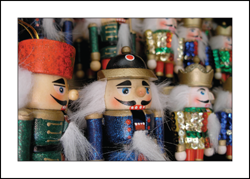 Our unique gift shop offers all kinds of ornaments and special holiday items that you won’t find elsewhere. 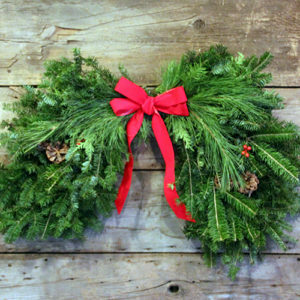 Fresh popped popcorn and free hot cider await, and the wreath factory is operating in full view — watch live wreath making 9-4 on the weekends!! 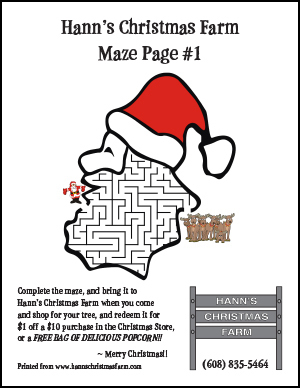 Check out Hann’s Holiday Haystack for the kids to climb on, with slides and tunnels to climb through. 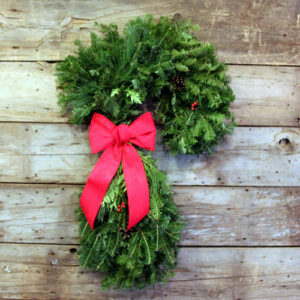 Take your family portrait in our giant Wreath Photo Frame. We have 47 acres of trees to choose from. Kids love running through the trees looking for the perfect tree. Most choose and cut trees in the field are individually priced with easy-to-read tags. We have a good selection of 7’ trees, but nothing above 7-1/2’ to cut down this year. We provide the saws, bailing (at no charge), and will help you tie it on your car too! You just provide the FAMILY FUN! We cut all our own trees weekly to keep them fresh, and price them individually. They are displayed indoors, out of the weather, and are guaranteed to be fresh. 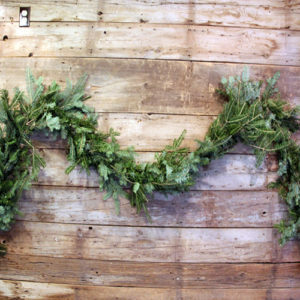 We have many different fresh wreaths, roping and mixed greens decorations, all made at our farm! 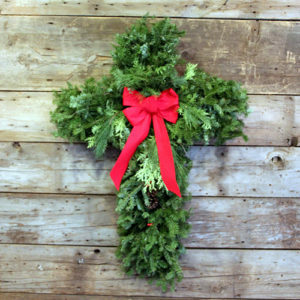 Check out our selection of specialty shapes: candy canes, crosses, swags and arches! 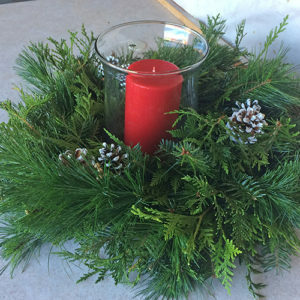 Our centerpieces and hurricane centerpieces will complement any table as well. 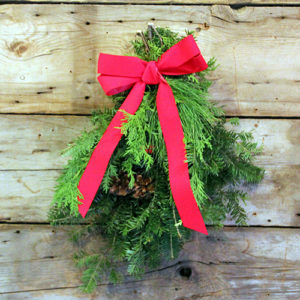 Also, you can CUSTOM ORDER anything imaginable from our farm and we will make it on-site. Contact us for more information on custom orders. 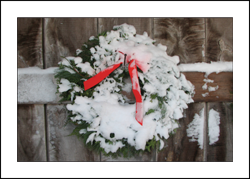 Interested in selling wreaths as a fundraiser? Check out our wholesale page here. Hey kids — Check out these fun websites! Note: All of these links go to external websites. All games are free, and do not involve any log-in. Parents should approve of site before allowing children to visit. 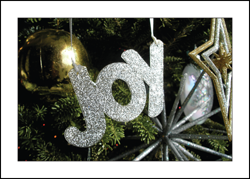 Download these files to send custom greeting cards to your friends! 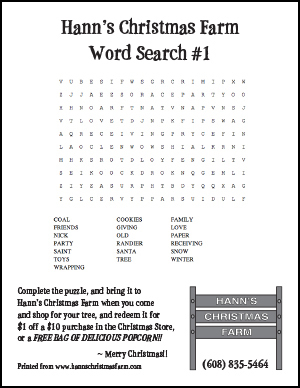 Download crossword puzzles, mazes and word searches!